An enchanting soundscape for advanced Flute & Piano and new for April 2013, includes full demonstration and accompaniment CD. 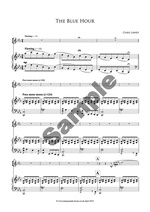 New For April 2013 and written by UK Composer Chris Lawry, this enchanting soundscape for Flute and Piano really succeeds in showcasing the flutes wonderfully melodic and lyrical qualities. With flowing phrases and twists and turns it could almost appear as if you were riding the underwater currents or gliding on overhead thermals. Chris Lawry (see our Composers page) UK draws his influences from many genre's and we think you'll hear melodic similarities to Thomas Newman (American Beauty) and other film aspects whilst injecting his own musical thoughts. Below is an audio excerpt (or click here) if your device does not allow you to view it. 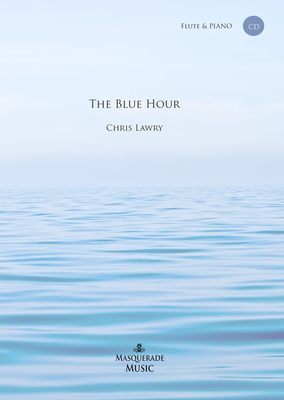 Remember that 'The Blue Hour' is also available as a PDF / MP3 email delivery pack at a bargain price. Click here to view our PDF/MP3 email delivery option.